This set contains Paraben-Free Bio Bloom skin care products that enhance your skin texture and give you luminous glow. 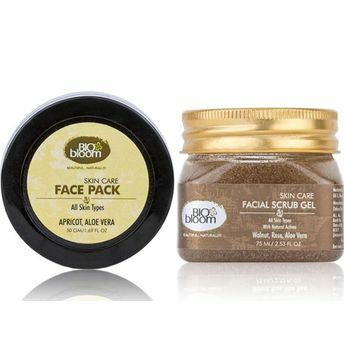 With the goodness of Walnut, Biobloom's Paraben-Free facial scrub is a natural and effective scrub that removes dead skin softly. This Paraben-Free Scrub is enriched with Rose, Aloe Vera and Vitamin E that rejuvenates the face giving it a natural glow. 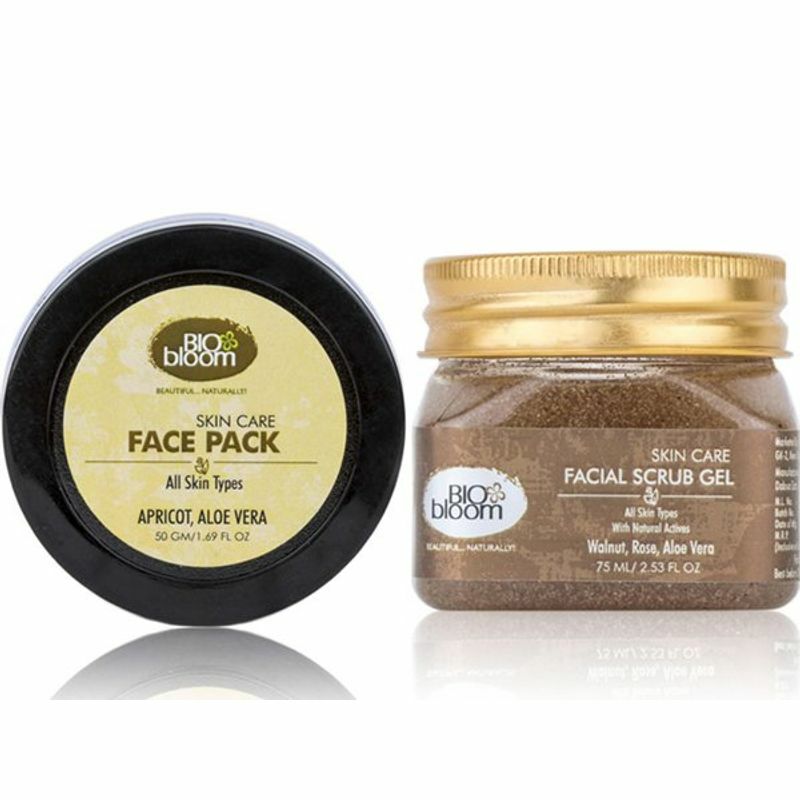 The Instant Glow Face Pack from Biobloom gives an even skin tone and leaves the skin hydrated, soft and supple. It is suitable for both dry skin and oily skin, and it also heals damaged skin and helps reduce wrinkles.